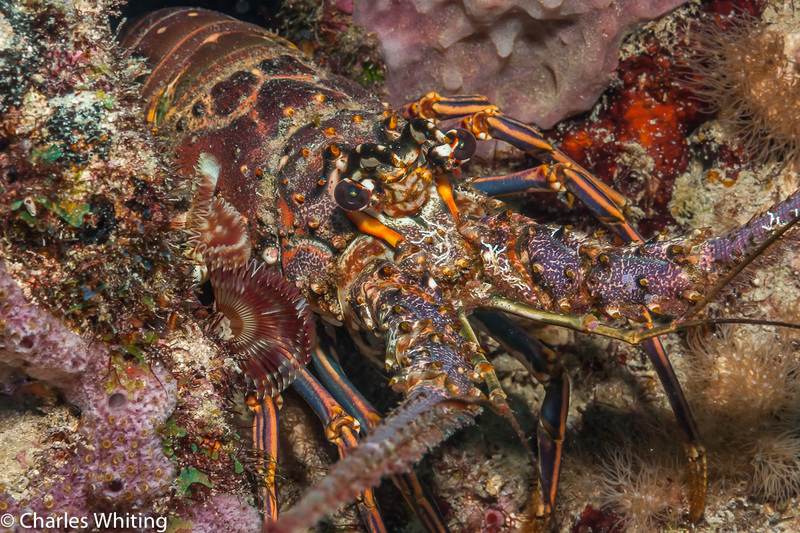 A large Atlantic Lobster tucked into a crevice in the coral reef. Cay Sal Banks, Bahamas. Photo © copyright by Charles Whiting.